Update 1/9/2013: This tutorial is now deprecated. We now have a newer, updated version of this tutorial, check it out! 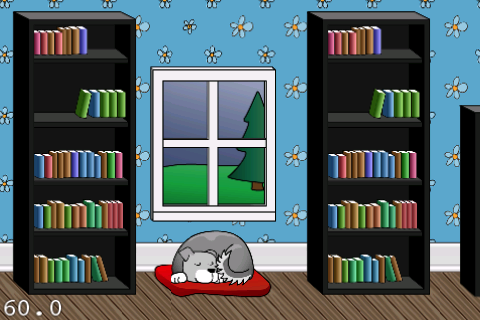 You could make this game with Cocos2D alone, but it would take a lot of time. 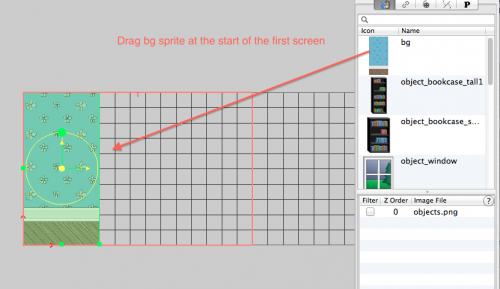 To make things simpler, we’re going to use two tools written by yours truly – LevelHelper and SpriteHelper. 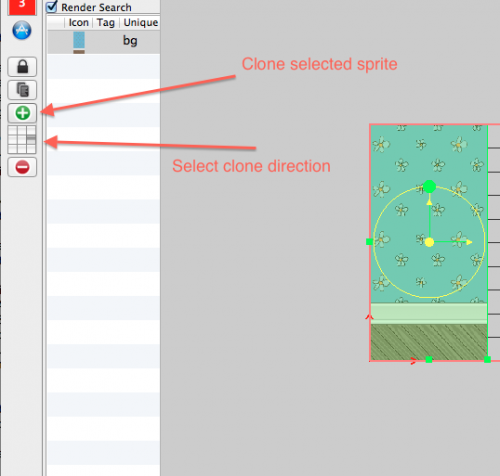 This tutorial assumes you have some basic familiarity with Cocos2D and Box2D. 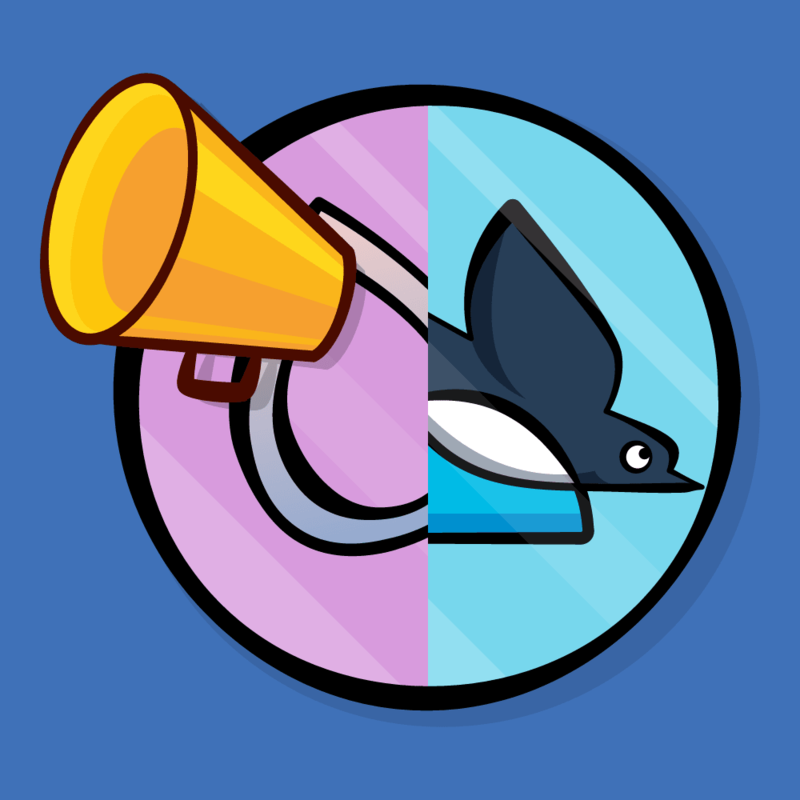 If you are new to either of these game frameworks, you should check out our Cocos2D and Box2D tutorials first. 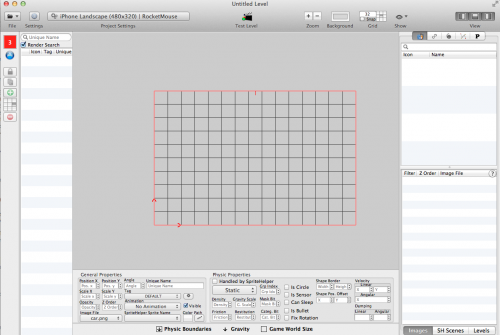 The LevelHelper Xcode 4 template, which you can download here. 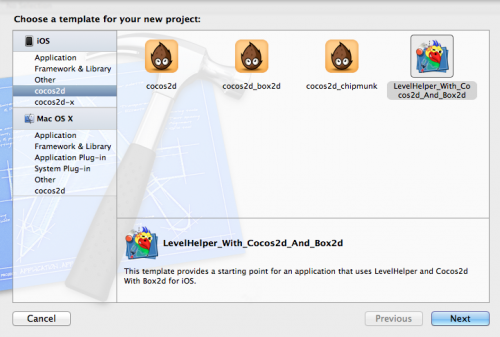 Note: LevelHelper supports the latest version of Box2D, but Cocos2D comes shipped with a slightly older version of Box2D. 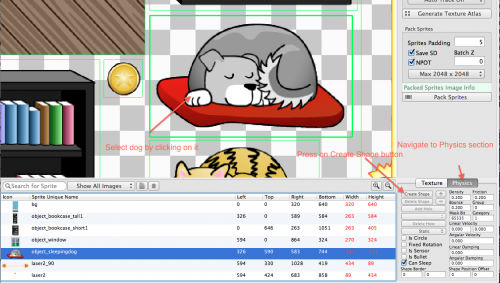 Using the LevelHelper template makes things easier for you because it pre-integrates the latest version of Box2D. 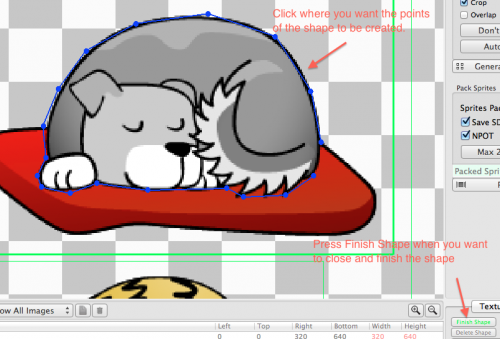 If you want to use the normal Cocos2D template and integrate the latest version of Box2D yourself, check out the instructions in the official LevelHelper Cocos2D/Box2D Documentation. First, make sure you have the Cocos2D 1.X templates installed (i.e. not Cocos2D 2.X). If you have the Cocos2D 2.X templates installed, just download the 1.X templates from the Cocos2D download page and re-install the templates. 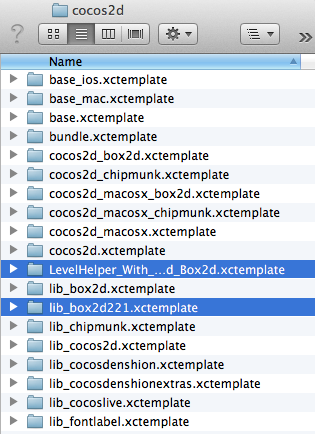 You can always re-install the Cocos2D 2.X templates again when you need them later. 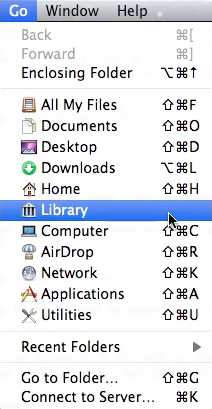 While still on the Go menu, press and hold the Option (or Alt) key, and the Library folder will now be visible. Pretty cool trick, eh? Click on it to continue. You should now be looking at your computer’s Library folder. The full path to Library is /YOUR_HD/Users/YOUR_USER_NAME/Library. 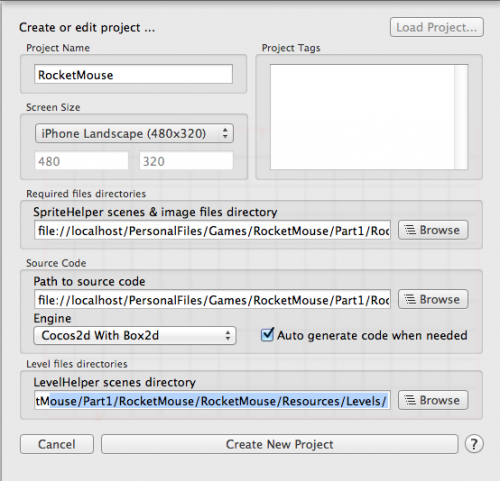 Now navigate to Developer/XCode/Templates/Cocos2D. 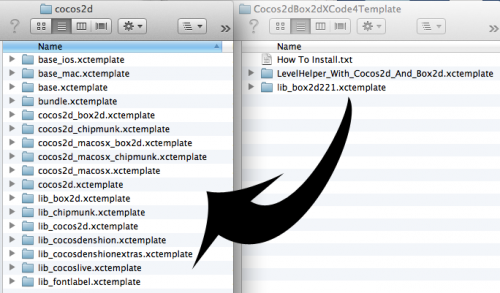 Copy both of the folders from the unpacked Cocos2dBox2dXcode4Template.zip file into this folder. w00t you’ve installed the template! Now let’s try it out. 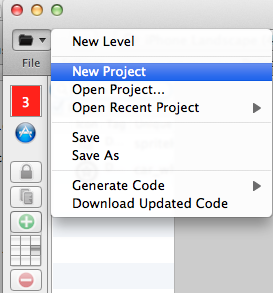 Open Xcode and choose File\New\New Project from the main menu. 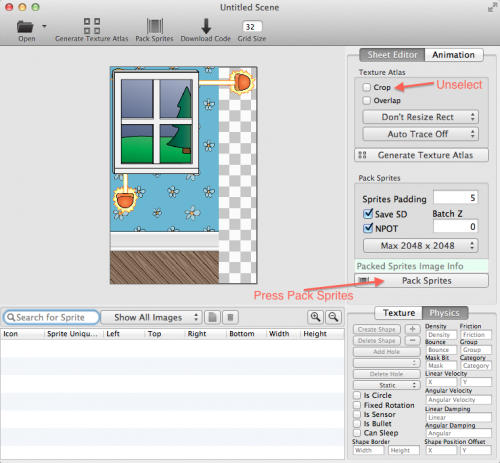 Select the iOS\cocos2d\LevelHelper_With_Cocos2d_And_Box2d template, and click Next. 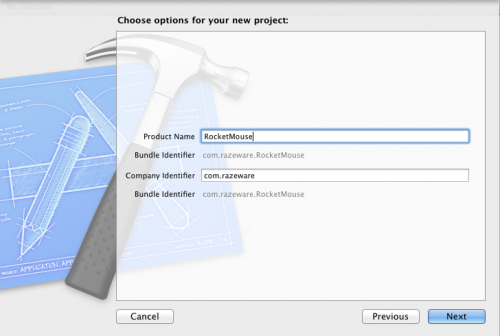 In the next dialog, name your product “RocketMouse” (no spaces), and click Next again. 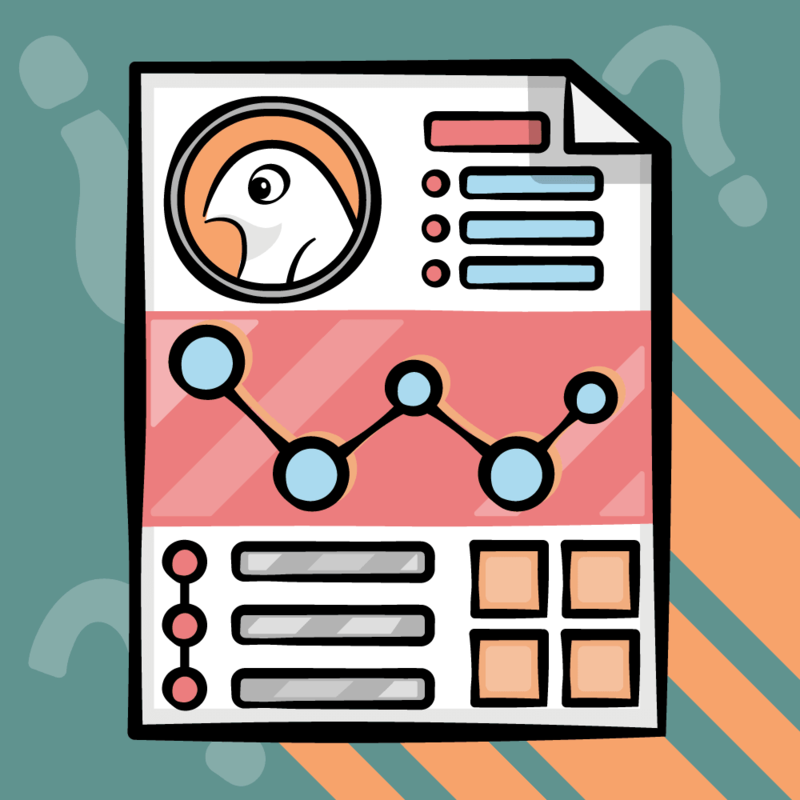 We could extend the template code from here, but to give you the best understanding of how everything works we’re going to start from scratch. So let’s clean up everything we don’t need from the template code. There are two steps: cleaning up the resources, and cleaning up the code. 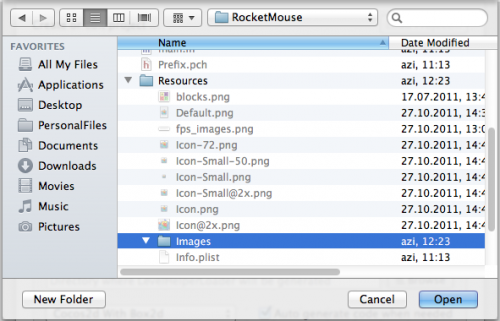 Inside Xcode, navigate to the Resources folder and select all files inside the Images and Levels folders. 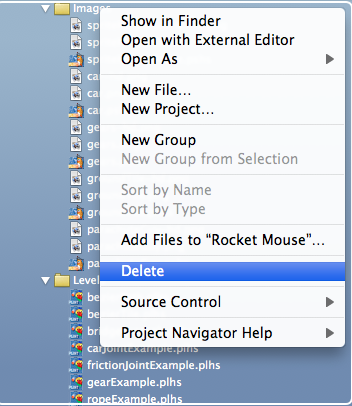 Now Control-Click (or right click) and choose Delete. 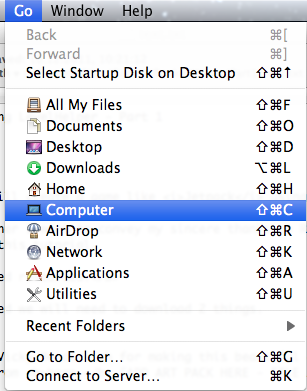 In the pop-up window, choose Delete. Now navigate and click on HelloWorldScene.mm. 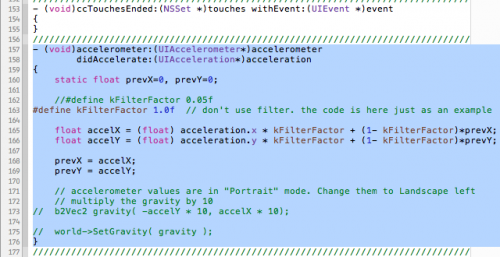 In the init method, delete the commented code and the notifications code, none of which we need. 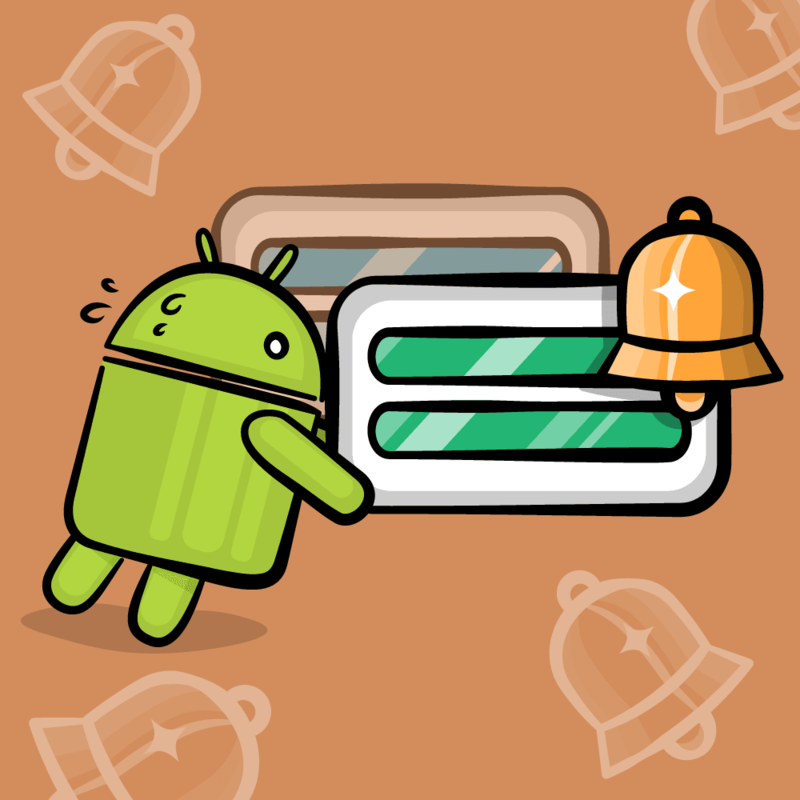 Delete the unneeded methods used for the removed notifications. Delete the content of all touch methods (DO NOT REMOVE THE METHODS THEMSELVES). If you look through HelloWorldScene.m, you’ll see that there is very little code left. 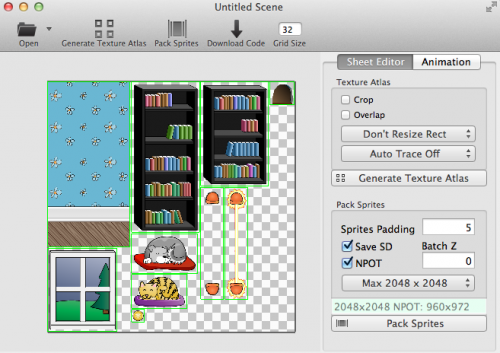 It creates a Box2D world, sets up Box2D debug drawing, and in the update loop runs the Box2D simulation and updates sprites to follow their associated Box2D body. The first line initializes LevelHelper with an initial level. 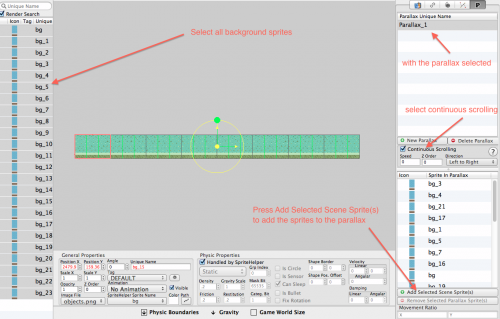 It then has a few lines to allow LevelHelper to add objects to the Box2D world and create physics boundaries and gravity based on the level settings. 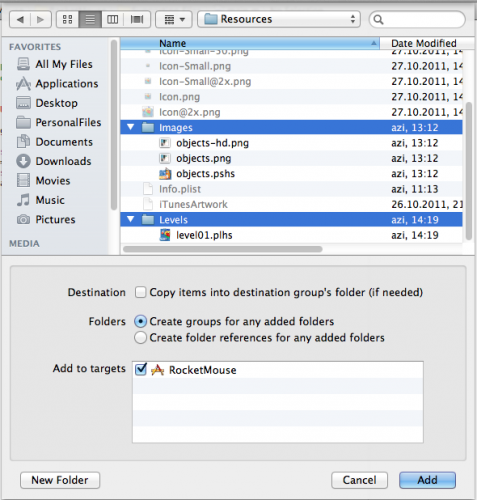 Let’s create two folders in the Resource folder of our Xcode project. While we don’t really need to do this, keeping our project organized will make our work easier! In Finder, navigate to your Xcode project, open its Resources folder, and create two subfolders named “Images” and “Levels”. 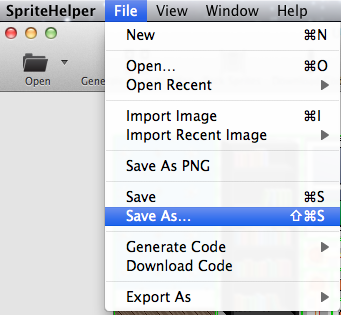 Important: Create these in Finder, not Xcode! 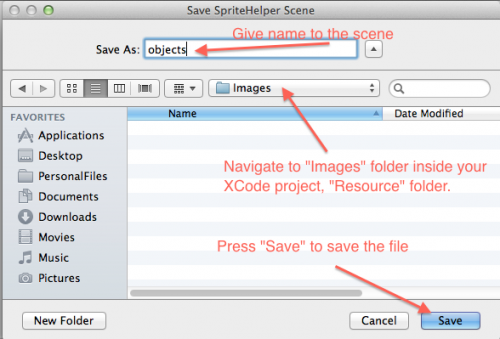 Under “SpriteHelper scenes and image files directory,” choose the Images folder you just created inside the Resource folder, and click Open. 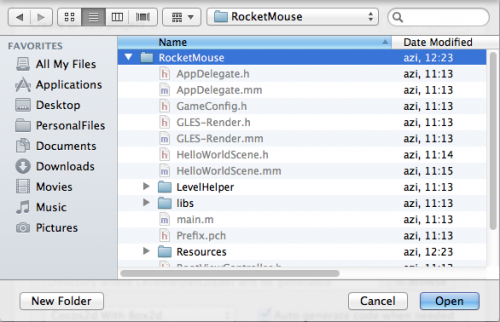 Under “Path to source code,” select the RocketMouse folder from inside the RocketMouse project folder. 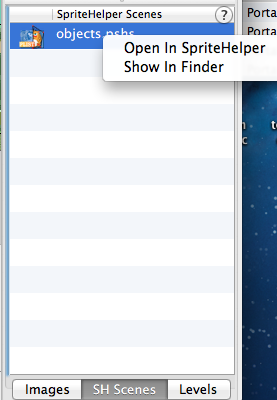 This is the folder that contains the LevelHelper folder. Click Open. 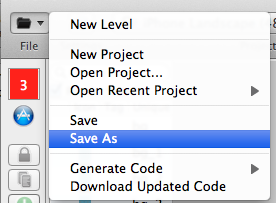 This setting tells LevelHelper where to go to automatically generate code, when needed. Under “Engine” select “Cocos2d With Box2d.” Here you are selecting what code you want LevelHelper to automatically generate for you. For this tutorial, we will use Cocos2d With Box2d, but as you can see LevelHelper supports several other engines/configurations as well! Under “LevelHelper scenes directory,” choose the Levels folder you just created inside the Resource folder, and click Open. 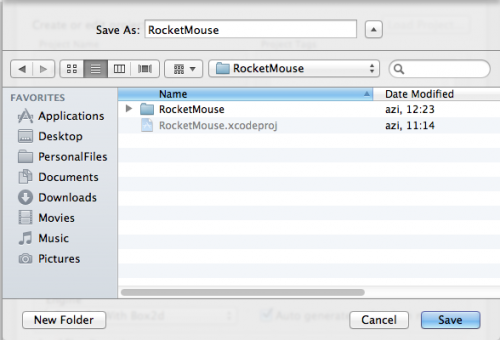 Save the new file in the same folder as the Xcode project (RocketMouse.xcodeproj). Let’s save this level and run it in our Xcode project. 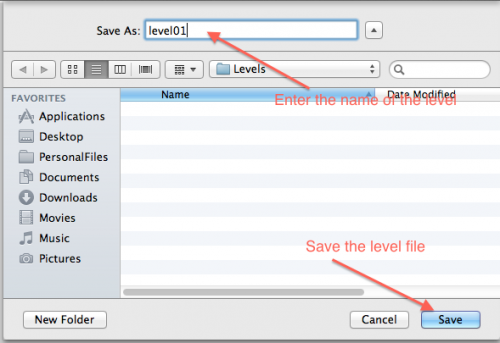 Inside LevelHelper, go to File\Save Level As. A new window will appear. 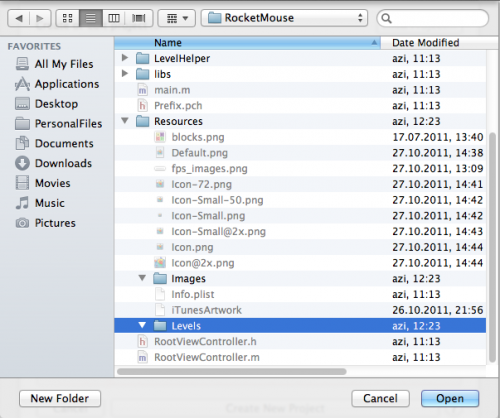 Navigate to the Resources folder on your hard drive and select both the Images and the Levels folders. 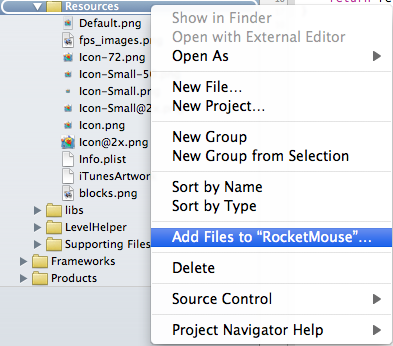 Then press the Add button to copy them to the Resources folder in Xcode. 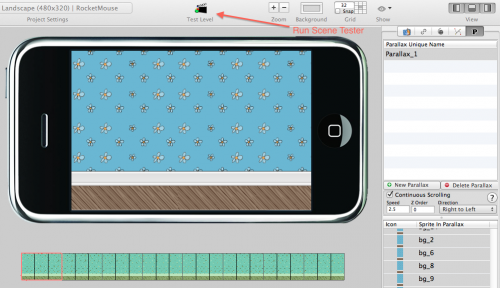 Now navigate to HelloWorldScene.mm in Xcode. 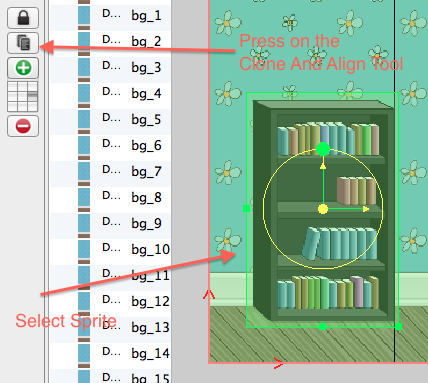 Select it and look for where in the code the level is loaded. 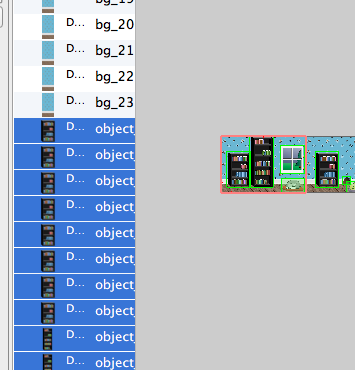 This is caused by pixel perfect sprites (no overlap between them) moving next to each other constantly. How to fix this? 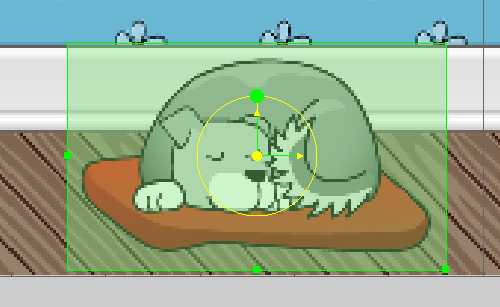 Cocos2d to the rescue. Now when you run the project, you shouldn’t see any artifacts. You can download the project as it stands up to this point here. 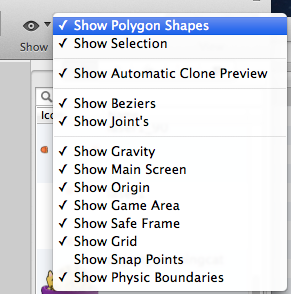 If you enable the Show Polygon Shapes option inside LevelHelper, you’ll see that all sprites have physic shapes on them. 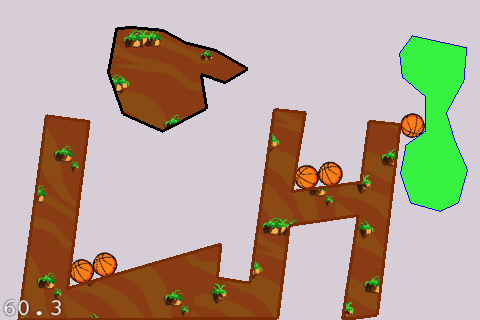 Compile and run, and now your level is looking a lot more interesting! In other words, you definitely want to continue with this series! Getting through the basics is always challenging, so if you’ve made it this far, congratulations. 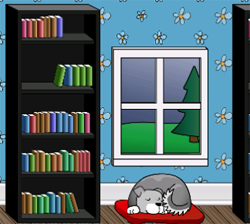 In the meantime, I look forward to reading and responding to your questions, comments and suggestions in the LevelHelper forum and in the forum below.